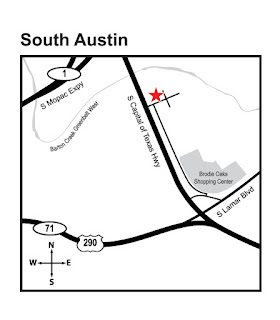 The office is conveniently located just east of the Mopac/360 intersection and shares the parking lot with the Barton Creek greenbelt entrance. 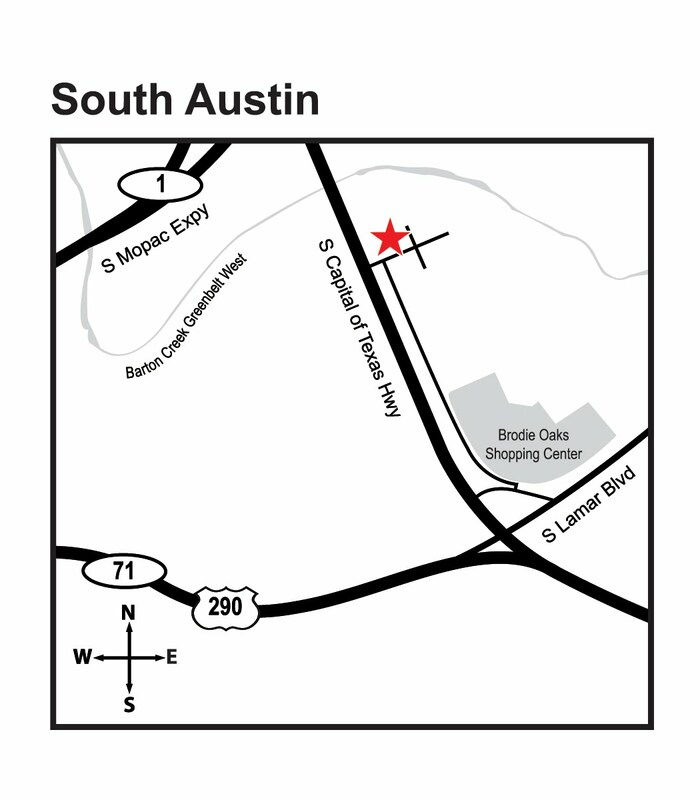 This location will replace Texas Orthopedics Westlake office at 5656 Bee Caves Road. In addition to orthopedic care and MRI services, we will offer physical therapy in Suite 150. Congratulations to our nine physicians who were voted Super Doctors by Texas Monthly magazine! Each year Texas Orthopedics employees donate to a local Austin charity during the holidays. This year, we are collecting donations for the Center for Child Protection. The Center for Child Protection is the first stop for children who are suspected victims of abuse and for children who have witnessed a violent crime. An accredited children's advocacy center serving Travis County, children are referred to the Center exclusively by law enforcement and Child Protective Services, and each child is brought to the Center by a caregiver for a recorded interview, forensic medical exam, counseling, and crisis intervention. All services are provided at no charge. Each Texas Orthopedics office has a piggy bank to collect spare change. At the end of December, we will count the change and purchase items off the Center for Child Protection wish list with the money we have raised. Many of the items needed are safety related items, such as car seats, baby gates, outlet covers and cabinet locks. 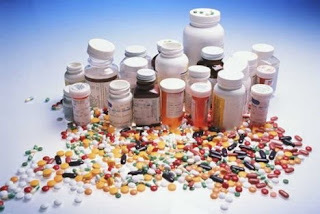 So why do some people use a ton of pain pills and other’s don’t? Umm, it’s complicated. 1) Some people have a low tolerance for pain. It’s that simple and yet it’s that complicated. It’s hard to know whether it’s something psychological or physiological. No one wants to feel pain but everyone is different in their ability to tolerate it. And there is no pain pill out there that is going to keep you from feeling pain altogether, unless it also makes you stop breathing. Right…if you’re not breathing you’re not feeling pain. But there is some level of narcotization which will leave you not caring about the pain. 2) Some people have a high tolerance to the pain pills. That’s another enigma. I can’t explain that one in a few paragraphs. It’s also multi-factorial. Suffice it to say that it’s something genetic or physiological, or metabolic. It’s really not that important to know. The outcome with these folks is not any different than the folks who have no tolerance for pain. They end up needing a lot of pain pills. 3) Some patients get into the habit of taking a lot of pain pills. It just sneaks up on them and on their docs. They have a painful injury or surgery and they get plenty of pain meds when they ask for them. It seems reasonable to the doctor because their patient has a legitimate reason to take pain meds. After an extended period of using them, they just become habituated to their use and then it’s really hard to back down. Many patients have chronic conditions. It’s almost impossible to back down on pain pills in the face of persistent pain or worse; progressively escalating pain. It takes a tremendous amount of patience on the part of the doctor, along with willpower and newfound tolerance for pain on the part of the patient. It’s really one of the hardest problems I deal with. 4) Some patients are sharing their pain meds with friends and family. They’re very good hearted and really hate to see loved ones in discomfort. I’m sorry, but that’s against the law. And it’s probably the reason why some patients use up 40 narcotic pills in two days. 5) Some folks are selling their pain pills. It’s one of the other reasons patients use up 40 pain pills in 2 days. It’s also against the law. These patients get really good at fooling us docs. They’ve got it down to a science and it sometimes takes us awhile to figure it out. They know that and so they just keep doctor shopping, thereby staying under the radar. The bottom line is that there are huge numbers of patients who begin to abuse prescription pain relievers, muscle relaxers and stimulants. It causes a lot of disability and costs the system a tremendous amount of money. Texas Orthopedics employees, friends and family passed out water to the Komen Austin Race for the Cure participants Sunday, November 7th! So I talked about tapering off pain pills as you feel your need diminish. But what are some other things you can do to decrease your need to take pain pills? Don’t forget R.I.C.E. : rest, ice, compression and elevation. You’ve used that to help with pain after an injury. Well it works for post-operative pain as well. Rest: We live in a busy world. We’re always wanting to get somewhere. We’ve got to go, go, go. When I was in college I had a job as a ward clerk in one of the big hospitals in Houston. People stayed in the hospital for weeks after an operation, which nowadays is done as an outpatient case. We don’t have the luxury of trained nurses waiting on us day and night for two weeks after our operation. Most of my patients can’t wait to get back to work, back to play and back to their routines. No one wants to rest. There’s nothing like rest to help us recover from an operation; whether that be resting our whole body or just resting the part on which we had surgery. But you need rest. It’s a crazy concept to take pain pills in order to return to work or to play golf. Stay home a little longer. REST! Ice: Ice helps slow down the bleeding from the little capillaries in the wound/incision. Bleeding causes swelling and swelling causes pain. Apply ice, lots of ice. You really can’t use too much ice. Just be sure not to let ice bags rest directly on your skin. Compression: This also helps to control swelling. Applying an ace bandage or thick dressings, when appropriate, helps to control swelling and therefore pain. Elevation: Elevate the injured extremity as soon and as much as possible. When you allow an injured limb or an extremity which has just had surgery to hang down, it begins to swell. Once that swelling gets out of control, it is really hard to reverse. The more you can elevate the extremity from the get-go, the better. Many of my patients manage all their pain with R.I.C.E. They might take their pain pills for only a day or two. Think R.I.C.E. instead of pain pill. Last time I mentioned that prescription pain pill abuse was a national health issue. It’s really a difficult problem for doctors and patients. We don’t want any of our patients to get addicted to pain pills, but we also don’t want you to suffer unnecessarily after an injury or surgery. There’s a fine line between relieving the pain and overusing pain pills and it’s different for every patient. Following a minor operation one patient might not take any pain pills at all, and another patient might take 8 hydrocodones a day for 2 weeks. The second patient might really be suffering from that pain more than the other patient. Their tolerance for pain might be less. But they might also be conditioned to taking lots of pain pills. They might require more because their system is used to taking narcotics. And then, as much as I hate to say it, there is the patient who just wants to get more pain pills. They want to save them for a rainy day. Or they might be sharing them or even selling them to friends and family members. It’s nearly impossible for a physician to know which one they’re prescribing pain pills to. Trust me; we try to figure it out as soon as possible. But let’s assume you’ve just broken your first bone or you’ve just scheduled your first surgery, and you don’t want to take too many pain pills. But you also don’t want to suffer. How do you know how many pain pills to take, when to take them, and when to stop using them? The prescription bottle might say to take 1-2 pills every 4-6 hours as needed for pain. At first you will probably take a couple every 4 or 5 hours. Generally speaking, the first couple of days after an injury or surgery are the worst. So after that, start cutting back on the numbers of pills you take. Just take one instead of two. Or start increasing the amount of time you wait before taking your next dose. You could start taking non-narcotic pain relievers like Tylenol, Aleve or Advil, in between doses, with the plan that eventually you’ll completely switch to the non-narcotic stuff and toss the rest of the pain pills. I’ve got some other ideas you can read about in a couple of days. I also want to talk about pain pill use in children.